The team charged with bringing home Australia’s F-35A Lightning II in December 2018 has reached a few important milestones, with 27 of the first cadre of maintenance crew completing technical training in May. Squadron Leader Leigh Tinker, senior engineering officer for the F-35A Transition Team, said in a statement on September 12 that he now has 20 personnel stationed at Luke Air Force Base, after initial maintenance training was completed at Eglin Air Force Base. A number of maintenance personnel have returned to Australia to prepare for the arrival of the aircraft at RAAF Base Williamtown. 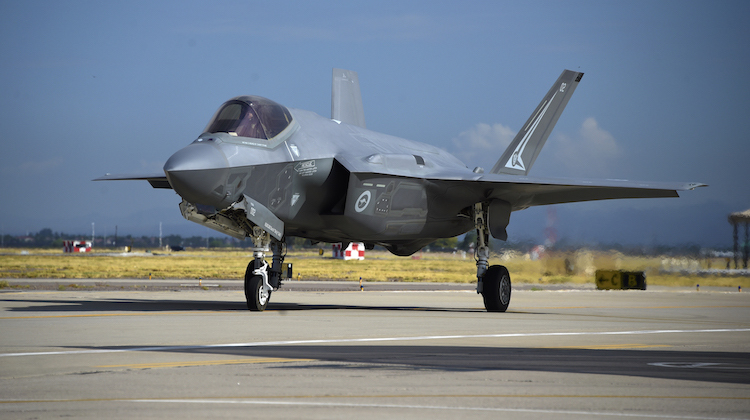 Most of them will form the core of 3 Squadron when it stands up as the Royal Australian Air Force’s first F-35A squadron, with others posted to 2 Operational Conversion Unit. Meanwhile, Wing Commander Darren Clare, who will become the commanding officer of 3 Squadron when the unit transitions from the Hornet, has completed his first flight in the F-35A. “The jet feels very similar to a Hornet in most flight regimes, and it was exciting to take off in an airplane for the first time solo,” said WGCDR Clare, who is still undergoing operational conversion. “The operations and maintenance teams made sure I flew an Australian aircraft for the flight, and I was also launched by an Aussie crew chief, which made it all the more special. How much has Willy grown to accommodate the 35 ( structure wise etc ) and security wise? With all the sensitive tech being on site , has it grown much? Cheers. Well it can’t physically grow beyond it’s boundaries, but yes the upgraded facilities for the introduction of the F-35A fleet is in progress, of course it is. As part of the overall budget for the introduction of the (so far approved, 72 F-35A), there is reportedly approx $1.5b allocated for upgrades at Williamtown, Tindal, etc. Are all those upgrades completed? Probably not, but they would be in progress. But upgraded facilities are not ‘unique’ to the F-35A, there were upgraded facilities put in place for the Super Hornets, Growlers, C-17A, KC-30A, etc, which is the norm, same for when the RAN introduced the MH-60R’s into service. Somehow I don’t think the Government, and RAAF, is so dumb that it will just park F-35A’s in old rusting tin sheds to let the general public walk in and have a poke around. Thanks John. Was just wondering what was happening. Thanks for the tounge in cheek reply. Two upgrades are an extension to the runway at Willy so the F35 won’t need AB on takeoff and new revetments for weapon loading etc. They range from November 2014 through May 2017 and if you download them to a folder you can see the progress across each shot easily. Using the same functionality you can see the runway has increased by 2000ft (at both ends) with new aprons at each end. Upgrades to air bases are happening all over the show. Edinburgh is getting a runway extension, Amberley is getting a new C-17 hangar and apron etc. Law, Thankyou very much mate. Very useful info, and thanks for the links. So much of where the JSFs will be parked is here yes? Sorry if it’s a dumb question. Cheers.